At Nuna Law, we aim to develop our business as well as our individual employees. According to our work ethics, all employees must have the opportunity to redeem their full potential. This means e.g. that as a young solicitor in our firm, you will have the opportunity to work with cases of a calibre that would be out of reach in a large Danish law firm ‒with the necessary backup and coaching, naturally. 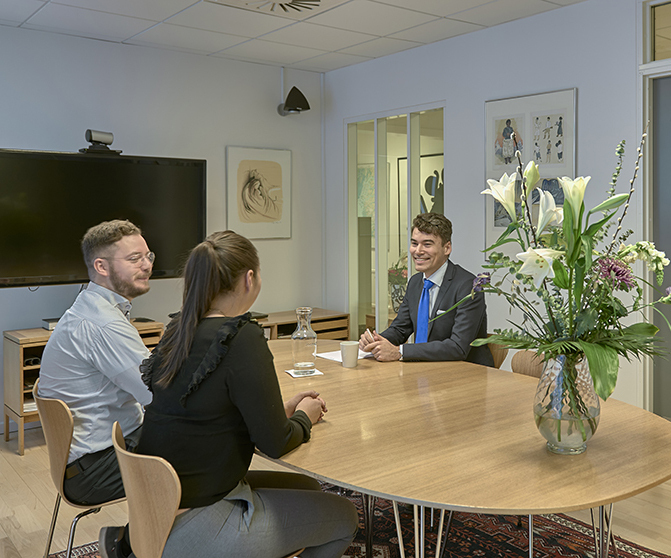 In our daily work life, we enjoy a good and relaxed cooperation with a pleasant atmosphere in our office. We focus on solving our tasks and we are happy to support and help each other. We have no vacancies at the moment, but we would like to encourage you to send us an unsolicited application if you believe that Nuna Law would be right for you ‒and that you would be right for us, regardless of whether you are a secretary, a solicitor, a paralegal assistant, a young or experienced lawyer. Drop us a line and let us know why you would like to work with us. Attach your CV and possible recommendations, and we will remember you next time we have a vacancy.